How to help a protege break the “I'm sorry” cycle. I feel I’ve been clear in my feedback. In response to “Sorry to bother,” I have replied, “Never a bother,” or “The only bother is that you think it’s a bother.” I’ve also ignored such comments because I didn’t want to inadvertently reinforce the reassurance-seeking. I have tried to build this person’s confidence by communicating my gratitude for the great job they’re doing. Do I have an obligation to say something more explicit? I worry that it comes from a place of insecurity, and that pointing it out will only make the person more self-conscious. When a supervisor of mine once pointed out one of my verbal habits, I was embarrassed to realize how much it must have annoyed him. A: I’m sorry-not-sorry to tell you this, but your feedback isn’t clear at all, and it’s left you trapped in a frustrating nice-off. It’s good that you want to avoid making your protege feel self-conscious. But your vague hint-crumbs and silence are glossing over the problem, and so your praise for good performance is also reinforcing the behaviors that drive you up the wall. And excessive praise without necessary correction just increases insecurity — especially when it’s later revealed, as in your experience, that correction is long overdue. 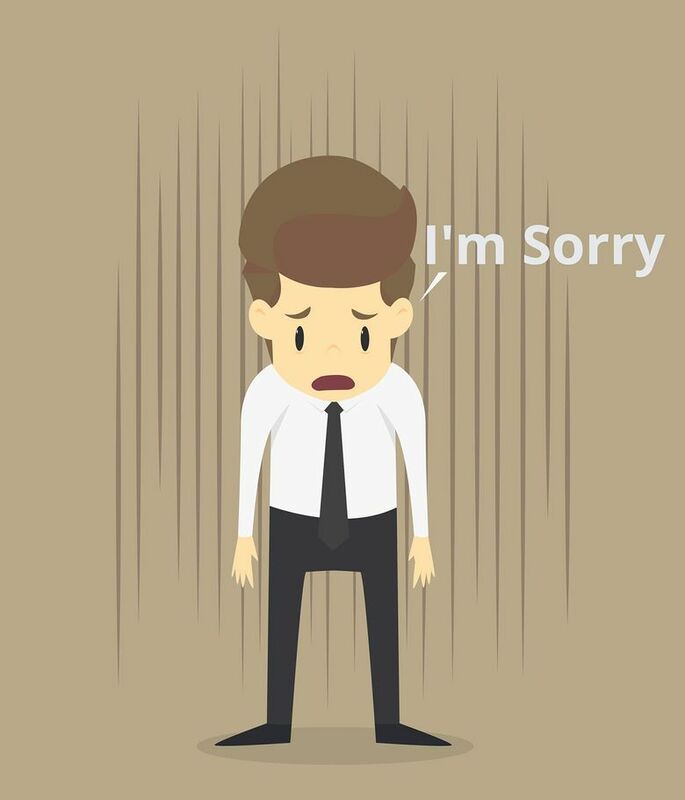 Are YOU a chronic apologizer? How to quit saying you’re sorry all the time. It could also be that your mentee isn’t at all insecure but thinks that self-deprecation is the best way to ingratiate oneself with superiors. Whatever the motive, it’s time to find a diplomatic way to interrupt the cycle before your annoyance grows too big to swallow. Then suggest phrases to convey respect without resorting to self-debasement: “Thank you for making time for me.” “Is this a good time?” “Thanks for your patience.” Phrases like those elevate the recipient and invite a simple response — “You’re welcome,” “yes” or “no” — without an obligation to also manage the speaker’s feelings. Pro tip: When apologies are due, follow the three R’s: Express remorse, accept responsibility for what you did, and resolve not to let it happen again.